Hotel Ranga Inn is an amazing hotel at a reasonable price which will make your travel hassle-free as it will fulfill all your needs. The spacious rooms are minimalistic with appealing tiles and woodwork which are sure to give you homely vibes. They have essential amenities included for the guests and the window blinds complement the upholstery in the room. The bathrooms are also spotless. 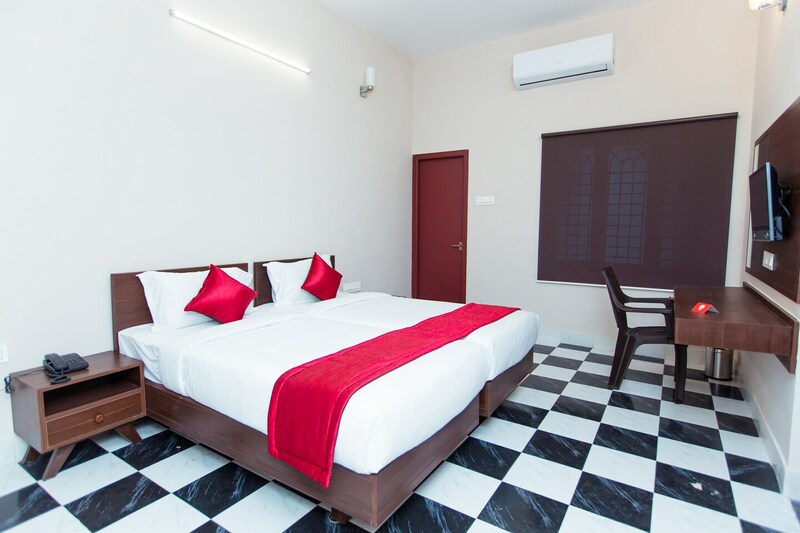 The property is equipped with facilities like laundry service, parking facility, free Wi-Fi, and CCTV cameras to make your stay comfortable and pleasant. The property is close to a lot of shopping centers where you can buy anything you need.